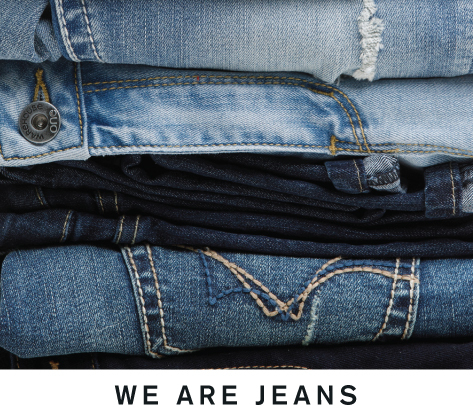 From selling jeans out of the trunk of a car in 1977 to becoming a nationwide chain of over 120 stores, one thing about us has remained the same: WE ARE JEANS. Warehouse One is proud to offer the widest selection of men's and ladies' jeans in the latest styles and washes - all at exceptional value. You can complete your look with a full range of casual tops, hoodies, and jackets, plus the best in jewellery and accessories. The best part about Warehouse One? We've got your size! We're proud to offer all our jeans in multiple inseams, with ladies' jeans in sizes 24-36 and 14+-22+, and men's jeans in sizes 28-42. Men's and ladies' tops are available in XS-XXXL. Stay connected with us by joining WH1 Perks today! Not only will you receive the latest in fashion trends and styling tips, but you'll also get first notice of members' only offers and promotions sent directly to your inbox! You can get social with us too!